Wigs come in a variety of shapes, sizes lengths, and colors and are a great addition to any new look you are trying to achieve. It also solves common problems like bald spots and thinning hair that can be a real downer to your self-esteem. A person who has undergone radiation treatment has also found that wearing wigs is a great way to cover up little hair while it’s growing out. Some women like them others don’t but you cannot deny that they can come in pretty handy when you are having a bad hair day and need something quick and convenient. For many women wigs are used as a fashion statement, for others, it is a get up and go sort of look that cuts getting ready time drastically. Do not be fooled, many women you see wearing wigs have great hair that they just don’t have time to style or don’t know how to style in some cases. But nothing beats that at the end of the day all you have to do is simply take it off. Wigs have come a long way throughout the years. Before you could spot a wig a mile away by its overly thick, shiny look but wigs have since evolved into incredibly realistic hair in human and synthetic, long and short varieties. In these realistic selections, you have lace front, silk top and mono type parting that gives the appearance that the hair is growing directly out of your scalp. This is why wigs will never go out of style. There are different textures too that can definitely give that “wow, is that really her hair” type questions. 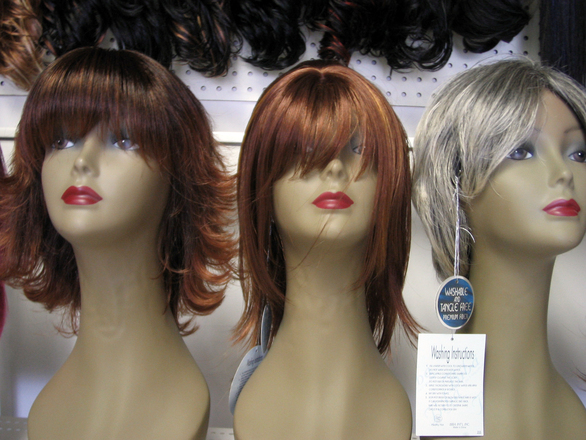 Wigs can also spruce up a particular wardrobe if you are going on a night out of town or just a nice romantic dinner with your significant other or with family and friends. Whatever the event or reason you wear wigs, they are a timeless addition to anything and seeing how far they have come and the direction it is continually going they will always be a necessary addition to some and a great enhancement for others.